You are currently browsing the archive for the ALELA DIANE category. This is a new stop-motion music video directed by Sean Pecknold, for ‘The Shrine / An Argument’ from the Fleet Foxes‘ latest album “Helplessness Blues” (Bella Union / Sub Pop, 2011). 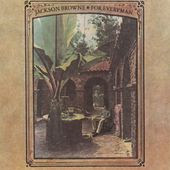 ‘These Days’ is a song written by Jackson Browne and principally recorded by Nico, Gregg Allman, and Browne himself in three distinctly different musical styles… read more on Wiki.